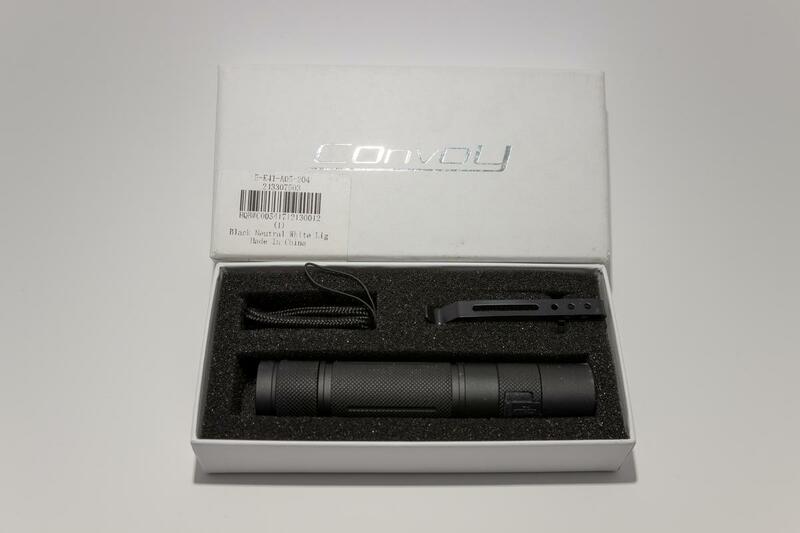 Convoy is already one of my favorite flashlight manufacturers, and the S9 is yet another addition to their excellent line of products. It is the first Convoy light with USB recharging, which makes it an excellent light to give to those less familiar with 18650 care, as I will discuss later in the review. As most of his lights are, the S9 is quite affordable, but does not feel cheap in any way. The handling of the S9 is quite nice. Especially with the 18350 tube, it feels very natural in my hand. 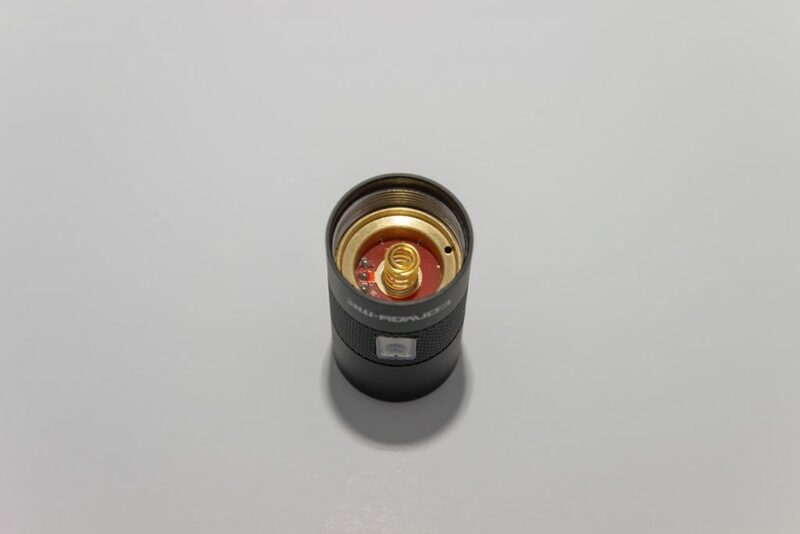 The rear threads are anodized, which allows for a mechanical lockout. The ¼” screw hole is a nice touch, giving the user even more uses for the S9. The knurling is quite nice, providing grip without being uncomfortable on a bare hand. The long grooves in the 18650 tube where there is no knurling do as much to provide grip as the knurling does, and the only spots on the light that don’t grip very well are those with smooth anodized metal. That really only includes the very top of the light and the area where the logo sits, and I doubt that anyone will be holding it only from those points. 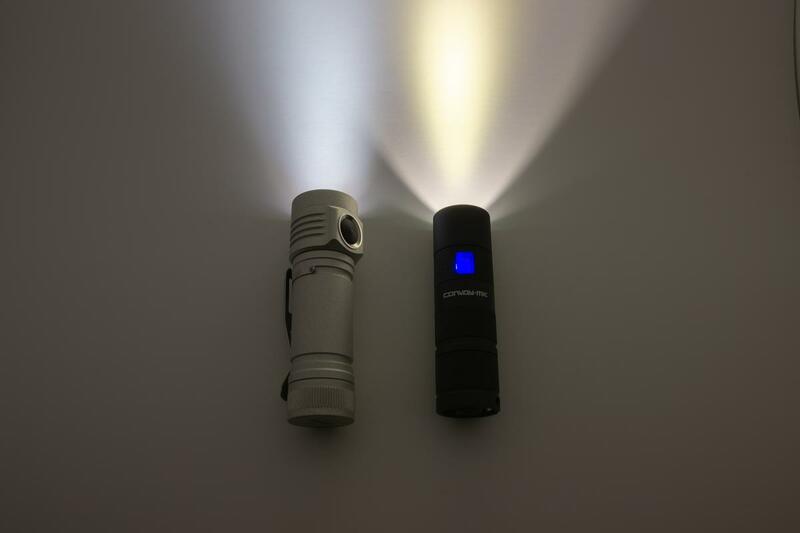 The S9 is quite small and, in its 18350 configuration, is noticeably smaller than my Emisar D4. The S9’s build quality is excellent, as I would expect from a Convoy product, although I have no strong feelings about the anodization. The light is solidly built, with the only micro USB port I’ve ever used that does not feel flimsy. I did not like the anodizing at first, but I have come to like it, and it does not scratch very easily. It also has an IP65 waterproofing grade, which is good for everyday carry where it might get wet/dusty. The silver fronts of the 18650 and 18350 tubes both have triangular-cut threads, which do not feel as sturdy as the square-cut threads on the back of both tubes. Also, it is possible to screw the battery tube in the wrong way (this can be seen in the photo with the 18650 tube), although due to the difference in length the light will not function if the battery tube is screwed in improperly. 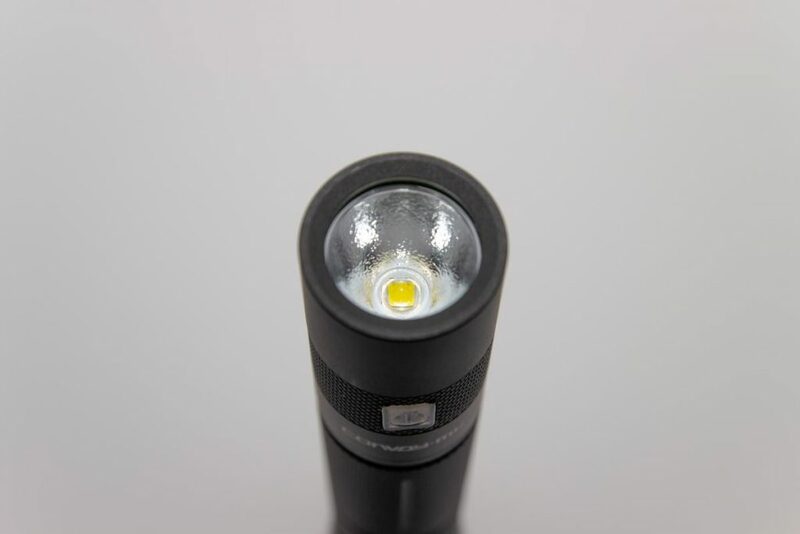 Like in the Astrolux S43, I’m not a fan of the XM-L2 used in the S9. 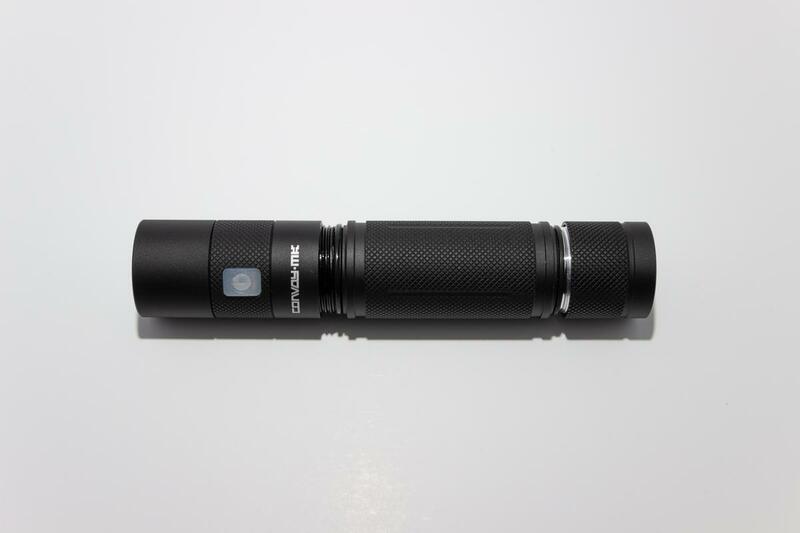 It is well centered, which I would expect from a Convoy (and frankly, any) flashlight. The S9’s bezel is not crenulated, make sure not to leave it upside down and turned on, as you might not notice. It has an orange peel (OP) reflector, which helps get rid of any artifacts in the beam. The 1400mA version of the S9 has Low (5%), Mid (30%), and High (100%) modes, and Strobe is a double-click away. Clicking bumps the light up one level, and once on High, clicking brings it back down to Low. The Convoy S9 does not have a momentary on, and the button must be held to turn off. I have to hold the button for a good second or so for it to turn off, and although I have no problem with hold-for-off, this UI requires the button to be held for too long. The S9 has mode memory, and sadly I do not know of a way to turn it off. I personally am a big fan of a simple low->medium->high UI without mode memory since I can always turn the light on without hurting my night vision more than necessary, and since the S9 has mode memory and no shortcut to low, there is no way to guarantee that I won’t blind myself with the light. I find it interesting that the mode memory includes strobe, but I would definitely prefer if the other modes were memory-free. The S9 can be locked out mechanically with a twist of the tailcap, and I do not believe that there is any electronic lockout. The S9 uses PWM, but it was never visible while I was taking photos of it in my lightbox (w/a Canon T3i + Tamron 17-50mm XR Di-II VC LD). If I use my iPhone and choose just about the lowest exposure possible I can just barely see the PWM, but in normal use it is not visible. Of course, there does not appear to be PWM on High. This is where my opinion of the S9 starts to diverge from perfection. Although the XP-L2 has adequate output for most uses and a nice profile with this reflector, there is a very prominent tint shift between the yellow-green hotspot and the pinkish spill. I used my lightbox to take a photo that compares the S9 to my Emisar D4 (as well as one with just the S9), and the tint is certainly not a nearly perfect white like that of my D4. 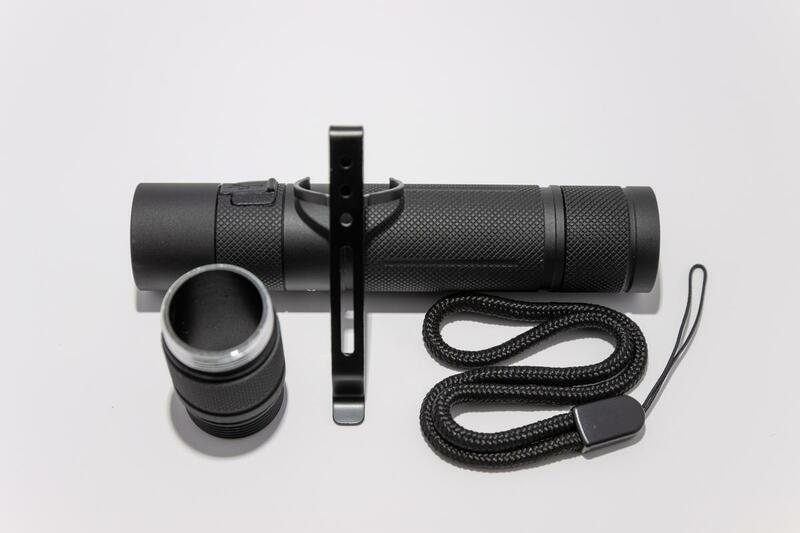 4 stars: The S9 is a great light overall, with outstanding build quality, and great EDC capability aided by its USB recharging. The UI is good, although a bit more customization would be nice, and Low isn’t quite low enough for my tastes. I am also somewhat disappointed that a maker of high-quality lights such as Convoy is still using mediocre low-CRI LEDs with ugly tints when the Nichia 219C could be used with similar output. If an S9 ever comes out with no mode memory, and a high-CRI LED with nice tint, that will be a 5-star light. Disclaimer: The flashlight was provided by Gearbest for review.